How we worked together: For the third time, we were thrilled to deliver BAFTA’s Film Gala, in the lead up to the EE British Academy Film Awards. 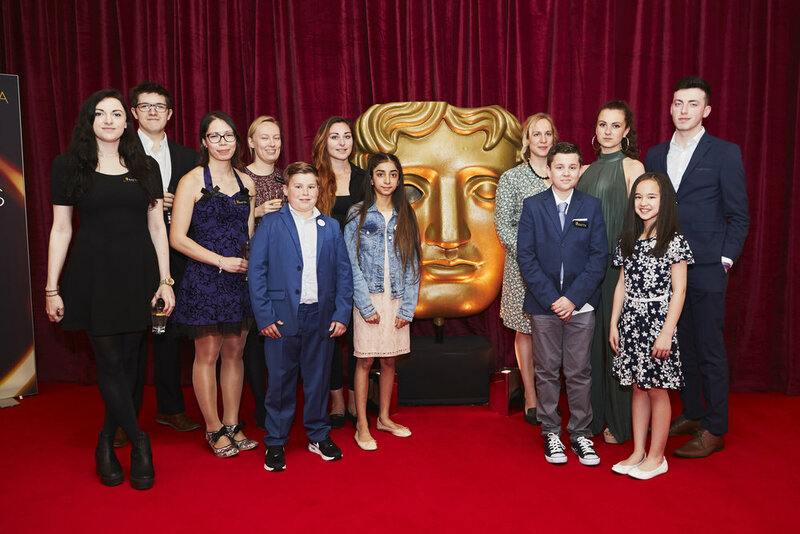 A highlight of our calendar, this event brings together a host of acting talent from film and television, raising money towards BAFTA initiatives, including the BAFTA Kids programme. 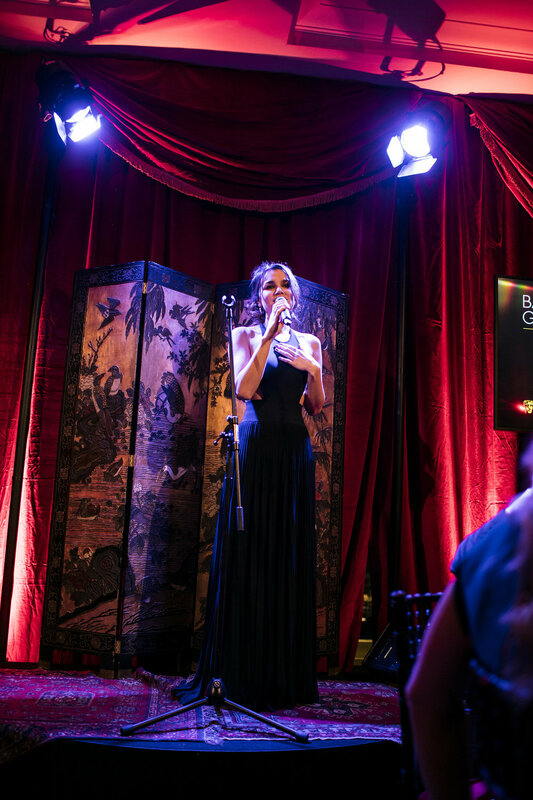 The event featured entertainment from The London Cabaret Club, an incredible performance of Shallow by Natalie Rushdie, DJs Star.One and musical sets from singers Grace Carter and Samm Henshaw. The Coveted Events team project-managed the event, coordinating the fundraising and logistical elements from concept to evaluation. What happened: The wonderful Garfield Weston Foundation celebrated its 60th anniversary in 2019 and hosted two incredibly special events as part of this. 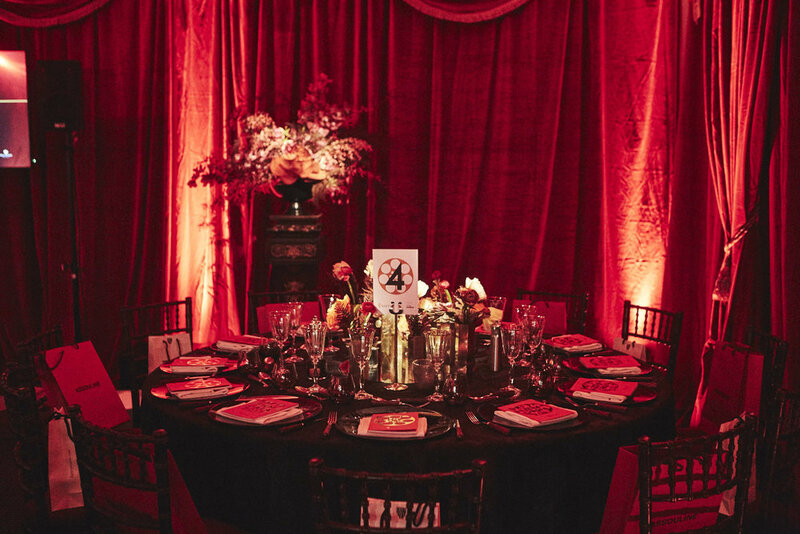 We were delighted to work with the Foundation to deliver these, including a reception at Banqueting House for 300 of the Foundation’s beneficiaries and fellow charitable Trusts and Foundations. Since its inception, the Foundation has given away over £1bn to organisations ranging from local churches in desperate need of funding, to the Natural History Museum’s Dippy On Tour campaign, through to life-changing projects for well-known charities such as Great Ormond Street Hospital and The Prince’s Trust. 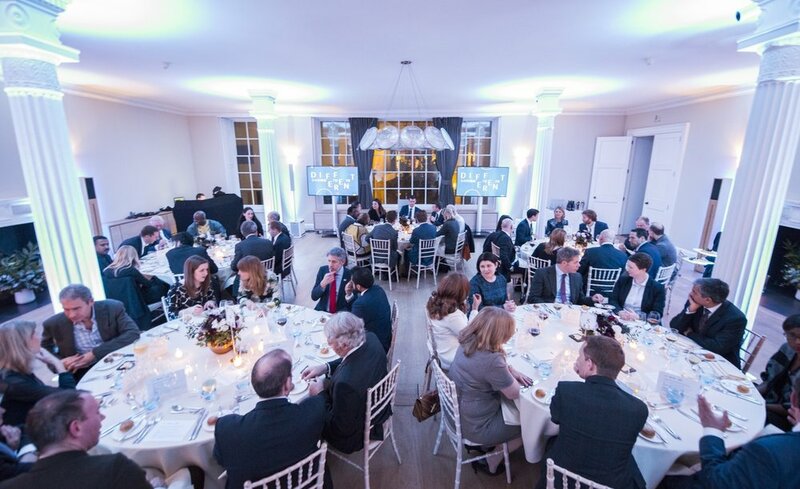 At Banqueting House, we brought together just some of the organisations who have benefitted from the Foundation for an evening to celebrate its incredible work. What they ate and drank: Our favourites, Urban Caprice, produced beautiful canapés and crowdpleasers, along with delicious dessert stations. Guests took home bespoke biscuits celebrating the anniversary. How we worked together: The Sohn London Investment Conference is now in its 7th year, having The Sohn Conference Foundation was originally founded in 1995, in memory of Ira Sohn, a New York trader. His friends and family started the New York Conference to raise funds and awareness for paediatric cancer research and treatment. Here in London, the event is organised by a committee of incredible volunteers and we had the pleasure of working with them to deliver the event. 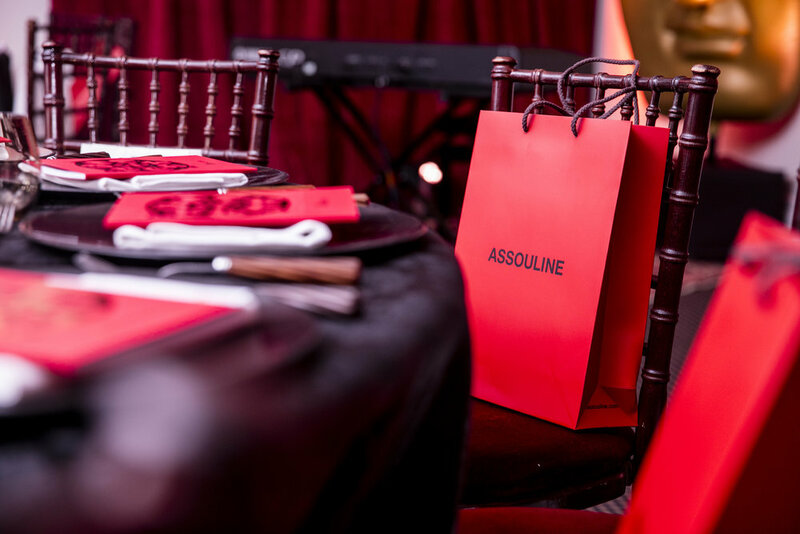 Our end-to-end role included the coordination of the weekly committee calls and sales reports, marketing and guest communication, speaker and sponsor liaison, as well as all logistical elements of the event, both in the lead up to the event and the stage management/delivery on the day. In London, the event has raised nearly £2m since its inception. What happened: We started in June with our first Summer Party at our home at 195 Piccadilly, with Champagne Taittinger flowing and Veevers Carter creating a tropical flower wall, featuring BAFTA masks and lush green foliage. Campaign ambassador Tom Hiddleston led the evening's proceedings with music from DJs and a Cuban trio, provided by GS Live. Later in the month, our Academy Circle with Hugh Bonneville saw us returning to Fortnum & Mason, this time in their cosy Three and Six Bar. Guests loved hearing from the Downton Abbey and Paddington star and much laughter could be heard throughout the evening. The season closed with a further Academy Circle event, this time with Dominic West, star of The Wire and The Affair. Held in the fantastic Garden Courtyard at Coutts, guests heard about West's upcoming role in the latest adaptation of Les Miserables before enjoying further drinks and a private dinner. What they ate and drank: From Fortnum & Mason's delicious canapes, food stations designed by BAFTA 195 Piccadilly's Anton Manganaro, to the first-class hospitality at Coutts, our guests have enjoyed incredible food and drink throughout the summer! Background: The flagship IFC conference has been running for over 30 years in Amsterdam. In 2017, they launched IFC Asia in Bangkok and this year we worked with the team to pull together the plans and deliver logistics. What happened: 300 fundraising professionals joined us at the 5* Marriott Marquis Queen's Park for three days of masterclasses (a full-day deep dive into specialist areas), workshops (90 minute interactive sessions) and Big Room sessions (theatre-style presentations). Storms meant we had to move our poolside dinner on the first night but spirits remained high as delegates got to know their peers, representing over 30 countries from across the globe. What they ate and drank: A breakfast buffet unlike anything we'd seen before - from a bagel station to fresh dim sum! A combination of Asian and Western meals throughout the week. And Chang beers of course. Brief: Back in 2016, we worked with Ubuntu to deliver their annual London fundraising dinner; the Growing Up Gala was held at the Roundhouse and raised over £600,000 for Ubuntu’s work with orphaned and vulnerable children in South Africa. We were approached to deliver a refreshed event for 2018, with a move to a new venue after five years at the Roundhouse. What we did: 250 Ubuntu supporters came together at London’s historic Guildhall for the Cradle to Career Gala. The event celebrated the cradle-to-career journeys of the children and young people Ubuntu Pathways works to support in Port Elizabeth. Guests heard the inspiring story of Ubuntu Scholar, Thina Maqubela, as well as a musical tribute to friend of Ubuntu and legendary jazz musician, Hugh Masekela. A live auction hosted by Charlie Ross raised £100,000, with a pledge moment raising over £150,000. What they ate and drank: Rooibos smoked salmon, Karoo lamb rump with a pea and mint risotto, a selection of South African inspired dessert canapés and Ken Forrester South African wines. 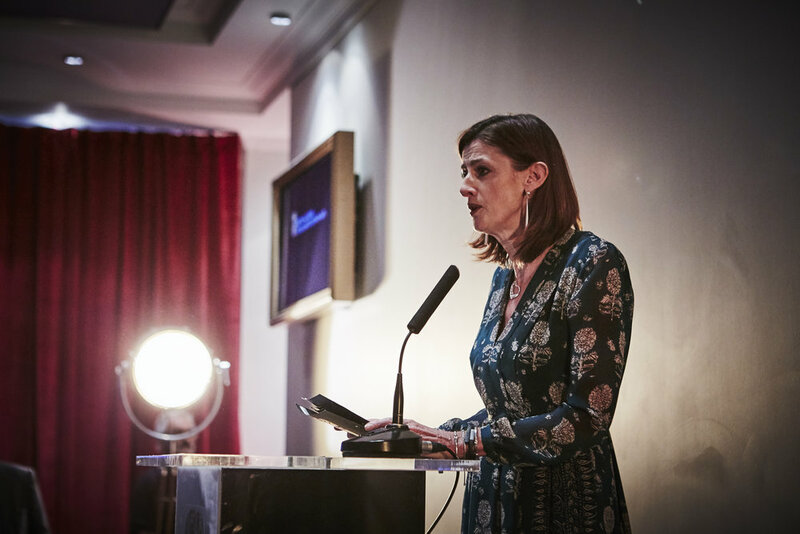 Brief: BAFTA's Academy Circle members attend quarterly events featuring exclusive Q&As with producers, directors and actors from the worlds of film and television. With previous guests including Jenna Coleman, Gillian Anderson, Jamie Dornan, Toby Jones and Joanna Lumley, we were thrilled to host this event with Chiwetel Ejiofor, who won a BAFTA in 2014 for the brilliant 12 Years a Slave. 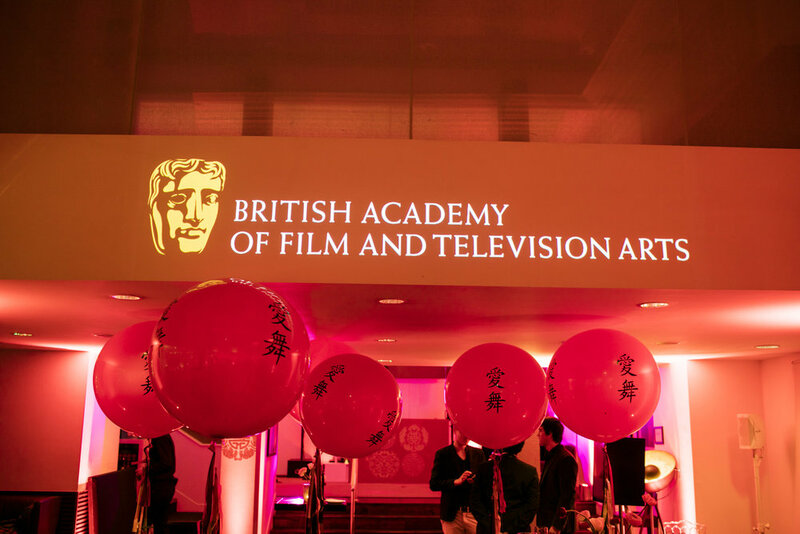 The evening featured drinks and canapes, followed by a discussion hosted by BAFTA's Mariayah Kaderbhai, and a private dinner for BAFTA's top donors. Brief: Back in 2014, we worked with Ark to deliver Ark by Night, an immersive event designed to challenge the traditional fundraising gala format. Having run the event again in 2015, we were at risk of guest fatigue and therefore came up with the idea of a pop up event, allowing us to reach numerous audiences, including the general public, to talk about Ark's work. What we did: Ark Pop Up took over four floors of Bargehouse at Oxo Tower Wharf, without drinking water, a kitchen or any heating for two weeks in December. 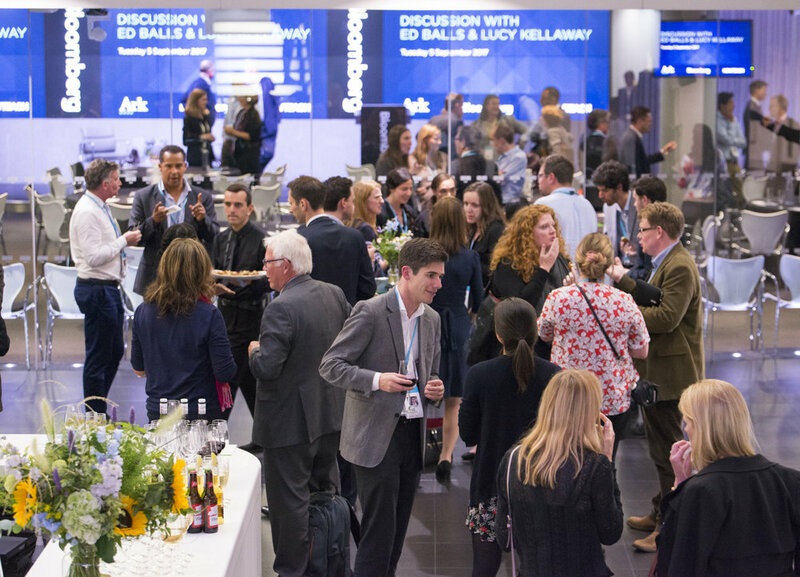 From a student art gallery to a bespoke Escape Room experience, we produced interesting content and created a space that could host activities and events including drinks receptions, information evenings, Christmas Parties and a fundraising dinner. Over 1,000 visitors and guests came through our doors to experience #ArkPopUp. Brief: Richard House's annual event had previously raised up to £100K for the organisation. We took on this event, which had been paused for a few years, and worked closely with the team to build a new committee and reinvent the gala as The Rainbow Ball. The dress code was strictly "Anything but black" with artist Romero Britto's incredible work as our inspiration and featuring a programme brimming with entertainment from The London Cabaret Club. 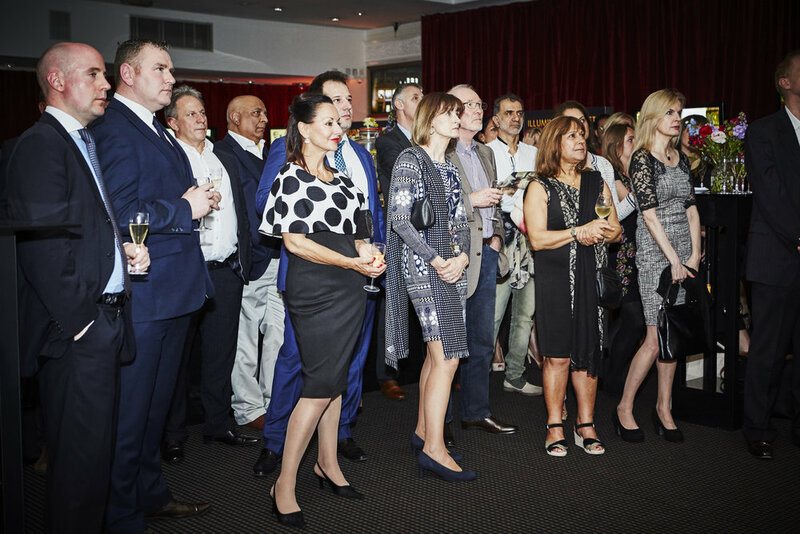 The 180-guest event raised over £350K for the charity, doubling our target figure. Brief: The annual Albert Kennedy Trust Gala Dinner brought together the charity's closest supporters at London's Café de Paris. Hosted by Gok Wan, the evening was sponsored by AIG, Disney and COREecruitment. Guests heard inspirational speeches from young people whose lives have been transformed by the support of AKT. Musical entertainment was provided by AKT Patron Dan Gillespie Sells and Sophie Ellis-Bextor. The Gala Dinner raised £240K to fund AKT's support services for young LGBT people in crisis and at risk of homelessness. 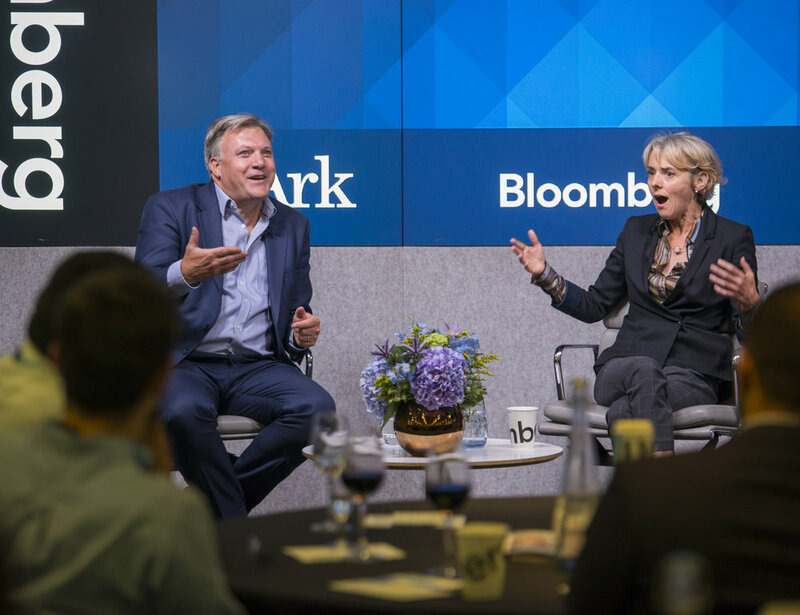 Brief: Hosted by Ark's partners, Bloomberg, this event focused on the changing shape of career, bringing together those from the worlds of education, politics and media for an evening of networking and discussion. Our aim was to highlight the newly launched Now Teach, a teacher training programme aimed for experienced career changers looking for a new challenge. Kellaway and Balls worked together a number of years ago at the FT.
Brief: With the aim of bringing BAFTA's charitable initiatives to life, Behind the Mask invited guests to walk the red carpet and meet finalists in the BAFTA Kids Young Presenters competition, Young Games Designers and BAFTA Scholars and Breakthrough Brits. Over the next year, BAFTA hopes to redevelop its home at 195 Piccadilly to enable them to deliver more programmes like this and to provide more opportunities to new talent regardless of their background. Brief: Education statistics in Liberia are among the worst in the world. By age 18, girls in Liberia are more likely to be married than literate. Across the country, 25% of 15-24 year olds cannot read a single sentence. Partnership Schools for Liberia (PSL) is a public private partnership (PPP) for education which launched in September 2016, with 93 primary schools managed by eight operators, reaching 27,000 children. It is Africa’s first fee-free national PPP for basic education. This conference brought together school operators, funders and government to reflect on lessons learnt and plan for year two of the pilot programme. 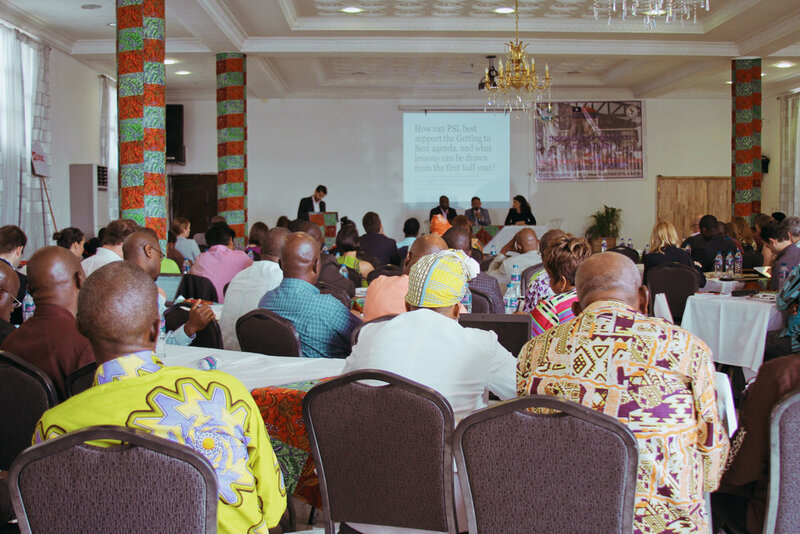 With proceedings led by Minister George K. Werner, Day 1 of the conference saw delegates having breakfast with President Ellen Johnson Sirleaf, Day 2 featured school visits to see the programme in action and Day 3 brought guests back together for presentations and panel discussions. 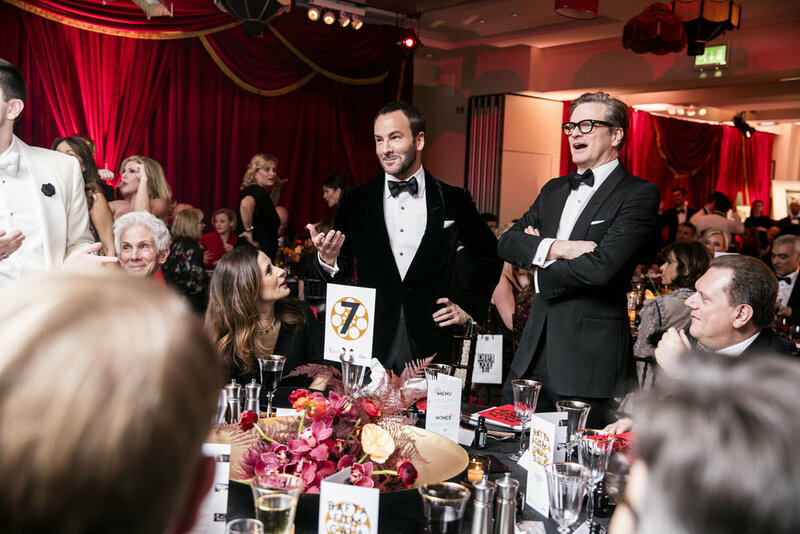 Brief: BAFTA's Film Gala is their annual fundraising event, bringing together a host of renowned and breakthrough acting talent, along with leading names from the film industry. We have delivered the Gala for two years, with 180 guests enjoying a Champagne Taittinger reception, a delicious meal designed by BAFTA 195 Piccadilly's Anton Manganaro, along with entertainment, cocktails by BULLDOG Gin, after dinner coffee by Nespresso and a DJ set by Bella Freud. 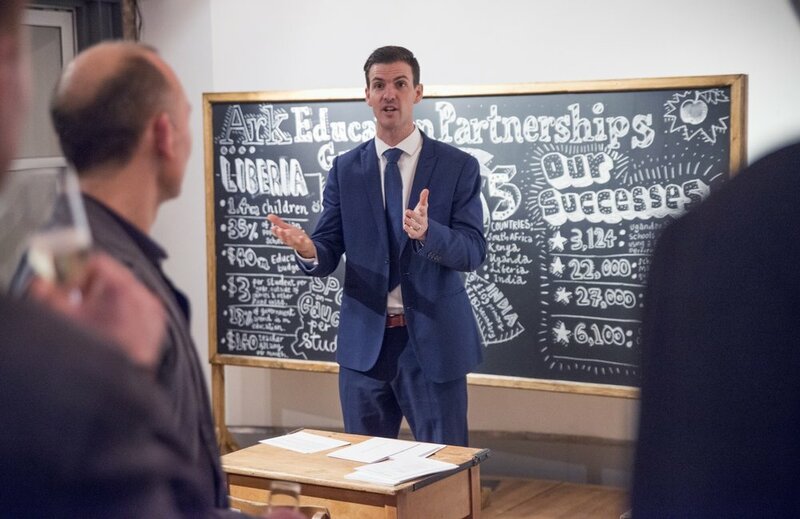 Brief: To raise funds and awareness for the work of Education Partnerships Group (EPG), using the Partnership Schools for Liberia programme as a case study. Bringing Liberia to London, we created a gallery of individuals who are breaking the mould within the world of education, ran immersive activities to place guests in the shoes of those in the Ministry of Education to understand the challenges that they face, before a sit-down dinner and the opportunity to pledge support of EPG's work. Brief: To launch BAFTA's fundraising campaign for the redevelopment of their home at 195 Piccadilly, specifically to leading industry execs from the worlds of film, tv and games. The event included an exhibition to highlight BAFTA's charitable activities to date, as well as the building plans themselves and a demonstration of the impact that the new space will have on both the industry and the public. 80 guests were welcomed by BAFTA supporter, Eddie Redmayne, and enjoyed BULLDOG gin cocktails and canapes. Brief: To bring together the worlds of sport and entertainment to celebrate the life of actor, director and producer, Lord Attenborough. As President of both Chelsea Football Club and BAFTA, the two organisations worked together to produce the gala at Stamford Bridge, with appearances and messages from Chelsea stars Frank Lampard and John Terry, and actors Dame Penelope Wilton, Samantha Bond, Sanjeev Bhaskar and Jim Carter. Attended by 450 guests, the event additionally provided a platform to raise funds for the Richard Attenborough Charitable Trust. Brief: To bring existing and prospective supporters closer to Ark's work by bringing it to life through an engaging and immersive evening. Taking place at one of Ark's south London schools, the building was transformed into a multi-functional yet creative events space, including turning the school hall into an informal restaurant-style dining room. Brief: In commemoration of the 70th anniversary of the liberation of Auschwitz, Holocaust Memorial Day 2015 hosted over 1,000 guests at Central Hall Westminster for a memorial service in the presence of TRH The Prince of Wales and The Duchess of Cornwall, Prime Minister David Cameron and 200 survivors of the Holocaust. The event included high tea for 200 guests, readings and musical performances for leading actors and musicians, followed by a drinks reception. The commemoration was broadcast on BBC2.